Scientific research has proven that people subconsciously seek out sunlit places and enjoy spending time in natural light. Research has also proven that there are real benefits associated with spending time in spaces that offer abundant natural light. The benefits of natural lighting are numerous and can affect a person's health, the environment and energy usage. 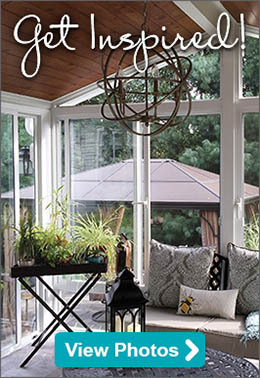 Patio Enclosures sunrooms, screen rooms and solariums not only add additional living space to your home and increase its value, these products offer the home's habitants a place to spend time in natural light. Sunroooms may even be good for your health and can help you save money by decreasing your energy costs. These are important benefits that people don't usually consider when deciding if a sunroon, screen room or solarium is right for their home and family. Listed below are some of the benefits natural lighting can have on your well-being, your wallet and the environment as a whole. 47% of the energy used in a home is for space conditioning (lighting and temperature control). Natural light produces energy savings by allowing a homeowner to use less heat, less air conditioning and eliminates the need to use artificial light. In some cases, adding natural light to a home caused energy costs to decrease by as much as 75%. Research has proven that natural lighting helps people be more productive, happier, healthier and calmer. 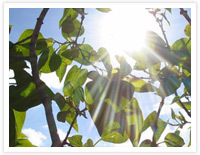 Natural light has also proven to regulate some disorders including SAD (Seasonal Affective Disorder). Compared to other home lighting methods, natural lighting reduces eye strain and makes it easier for people to see. Feeling depressed? Science has shown that simply being exposed to natural light for a short period of time can prevent depression in adults as well as children and boost one's spirits. 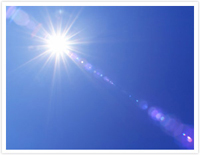 Vitamin D is an essential mineral for all people. This vitamin has numerous benefits including immune system regulation, body weight maintenance, asthma symptom control as well as helping to keep the brain working efficiently into later life. Exposure to sunlight is the primary method in which people receive a sufficient amount of vitamin D.
Another great benefit of using natural light in your home is that it reduces the amount of mildew and mold growth keeping your space healthier for you and your family. The use of natural light in a home or business space is cleaner for all inhabitants and also helps preserve the environment. Aside from health and energy saving benefits, natural light is also helpful for increasing the aesthetics of a space. Architects use natural light to make spaces appear larger, illuminate an interior structure and increase the beauty of a space. Natural light will have the same effects on your home. 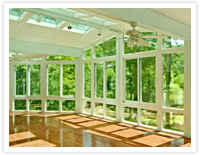 Sunrooms, screen rooms and solariums are all home additions that will allow you to enjoy the benefits of natural light. The installation of a screen room or sunroom is less invasive and usually requires less time than building a traditional home addition. It is important to be strategic in the placement of your room and also remember that you will need sunroom blinds and/or shades to help shield the sunlight when needed. If you are ready to take the next step and learn more about how our products can help you enjoy all of the benefits of natural lighting in your home, schedule a free in-home estimate now!